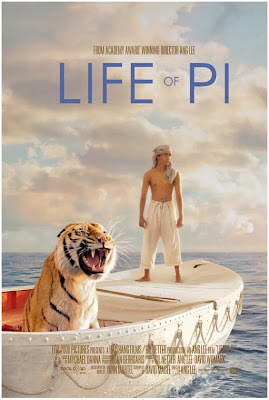 new epic drama LIFE OF PI directed by famous director Ang Lee who's given the world some of the visually (CROUCHING TIGER, HIDDEN DRAGON) or emotionally (BROKEBACK MOUNTAIN) most striking films in history. 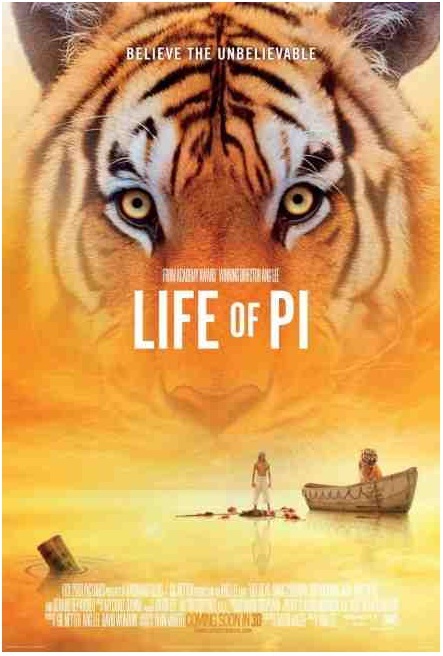 Although the official cinematic release of the film is scheduled for November 21st, the film was chosen to open the 50th Annual New York Film Festival on September 28 which makes it Lee's second movie to screen at the festival after CROUCHING TIGER, HIDDEN DRAGON served as the Closing Night Gala presentation twelve years ago. Below you also have a lovely new international trailer with an amazing usage of a Coldplay's song! hitching a ride on a huge freighter. 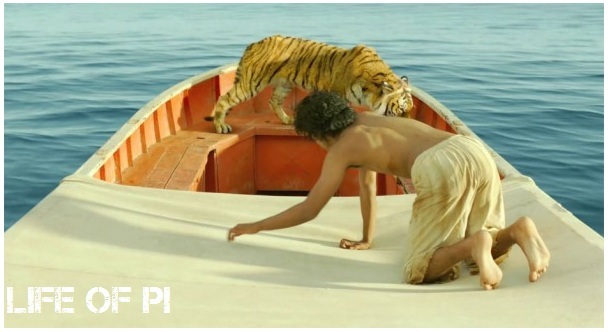 After a shipwreck, Pi finds himself adrift in the Pacific Ocean on a 26-foot lifeboat with a zebra, a hyena, an orangutan and a 450-pound Bengal tiger named Richard Parker, all fighting for survival. Sharma was chosen in the audition among 3,000 other boys. The film was originally supposed to premiere in December but then it was shifted a month in advance to avoid being buried in the cinematic graveyard for films which THE HOBBIT saga will create when it opens in December this year. his talent in acting business. His new gig is rather interesting: according to "Variety" Justin might take the lead in a Black List film THE LAST DROP which will follow an alcoholic restaurant critic for New York Magazine. The foodie realizes he must change his addictive behaviour when he falls for a young woman. Justin's previous romcom FRIENDS WITH BENEFITS earned double its budget last year and we shall also see him next year in RUNNER RUNNER next to Ben Affleck and Gemma Arterton in the story about a businessman who is caught up in the world of offshore online gaming. 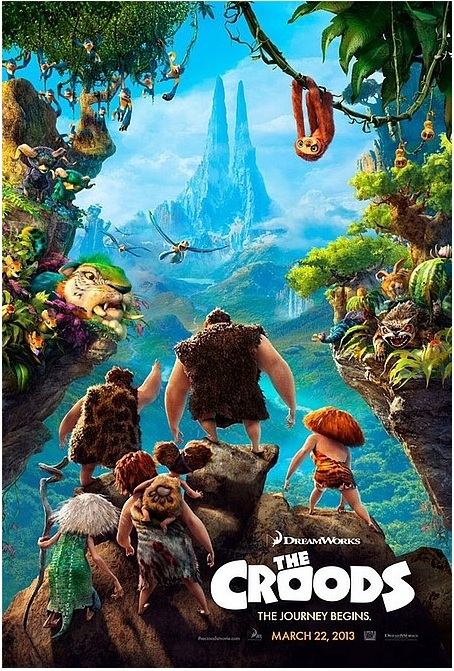 prehistoric beasts hidden on both sides of the jungle: Surviving in a volcanic world is tough enough, but caveman Grug (Nicolas Cage) gets a rude awakening when an earthquake forces him to leave behind the only world he knows. 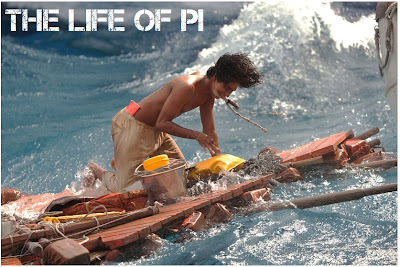 With his family in tow, he ventures out into the volatile world in search of a new home. 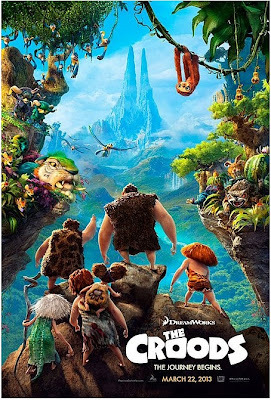 The situation becomes even more complicated when Grug's family - but in particular his eldest daughter (Emma Stone) - become smitten with a nomad (Ryan Reynolds) they encounter on their dangerous journey. This quirky, imaginative stranger's search for 'tomorrow' is at odds with Grug's reliance on the traditions of yesterday! 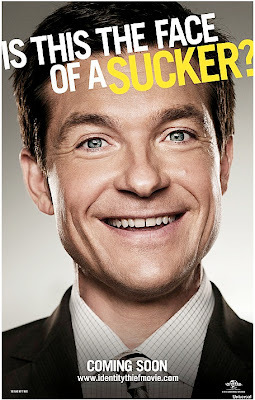 "MOCKINBIRD LANE" SHOW WITH JERRY O'CONNELL, PORTIA DE ROSSI, CHEYENNE JACKSON! 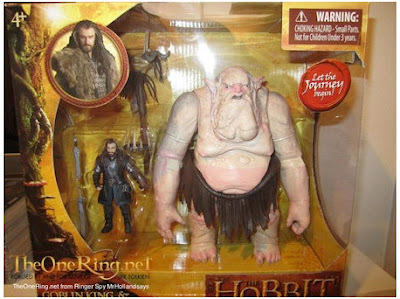 1ST LOOK OF THE GOBLIN KING FROM "THE HOBBIT"! 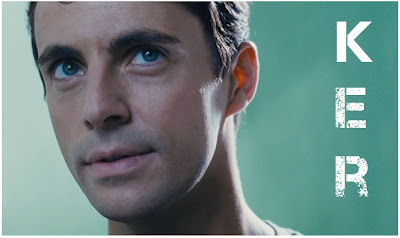 "STOKER" TRAILER WITH NICOLE KIDMAN, MATTHEW GOODE, LUCAS TILL! Grant will play Maryanne, the paraplegic, busybody neighbor who takes a very keen interest in the strange new family next door. 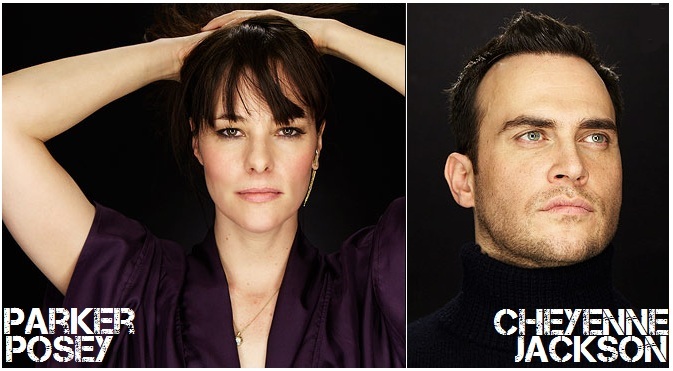 The pilot is being developed by "Pushing Daisies" creator Bryan Fuller. The show will have spectacular visuals, but the make-up and costumes will be toned down in comparison to the original series. Yesterday you saw the first picture of Evangeline Lily as Elven archer Tauriel and today there's another character from THE HOBBIT saga revealed in a toy line which follows the epic movie. It's the first look of The Goblin King who will be done through motion capture in the film and will be given its voice by famous British comedian Barry Humphries also known as Dame Edna. 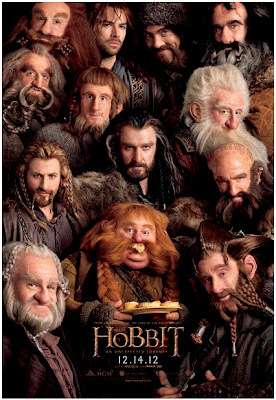 There's also a brand new poster for THE HOBBIT a very delightful one featuring all the Dwarves in one place from Richard Armitage's Thorin to Aidan Turner's Kili! PS I've added a trailer for the IDENTITY THIEF to the yesterday post which featured the posters for the comedy. suspect this mysterious, charming man has ulterior motives, but instead of feeling outrage or horror, this friendless girl becomes increasingly infatuated with him. The cast of the film, which will hit cinemas next March, also includes Lucas Till and Dermot Mulroney. 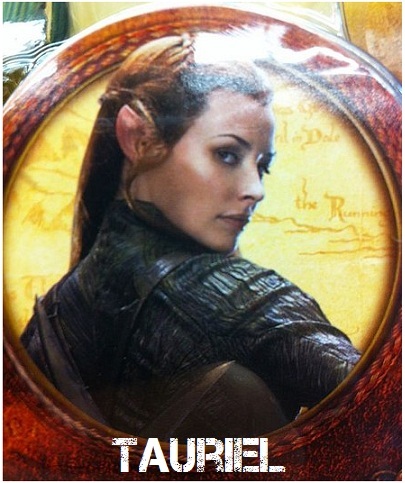 1ST ELVEN PIC OF LILY EVANGELINE AS TAURIEL IN "THE HOBBIT"! 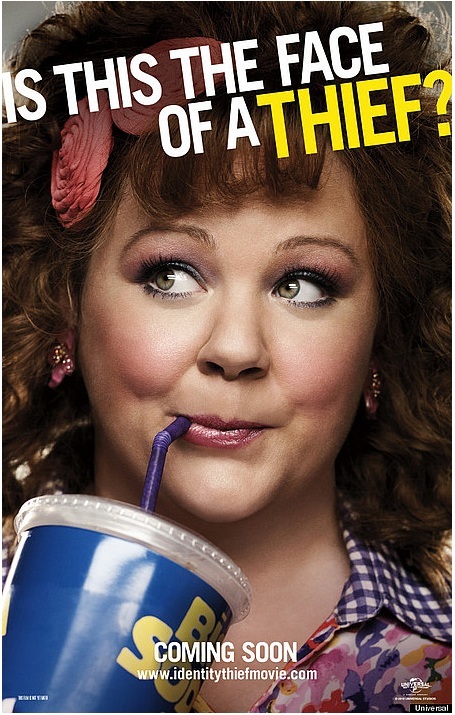 "IDENTITY THIEF" POSTERS WITH MELISSA MCCARTHY & JASON BATEMAN! DWAYNE JOHNSON TAMING MYTHICAL BEASTS IN "LORE"
Patterson" ... and it belongs to an accounts rep (Jason Bateman ) who lives halfway across the U.S. With only one week to hunt down the con artist before his world implodes, the real Sandy Bigelow Patterson heads south to confront the woman with an all-access pass to his life. And as he attempts to bribe, coax and wrangle her the 2,000 miles to Denver, one easy target will discover just how tough it is to get your name back. 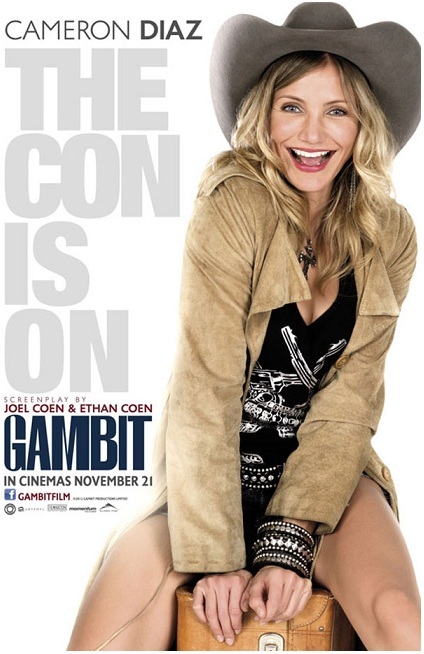 The cast of the hilarious comedy which is ready to hit cinemas February 2013 also includes John Cho, Amanda Peet and Jon Favreau. Now, this is certainly a scorching hot piece of news: after we've seen the first mindblowing look of Lee Pace as Elven king Thranduil in THE HOBBIT saga, now a box for the toy line connected with the film has revealed the sneaky peek into Lily Evangeline's Elven archer Tauriel. The character has been put into the story since the book doesn't have enough female heroes. adaptation of a fantasy graphic novel is set in a world where a secret society of Shepherds guard against mythical creatures told in folklore that actually exist. When the chain of command is broken, a young hero must do whatever it takes to stop these beasts! 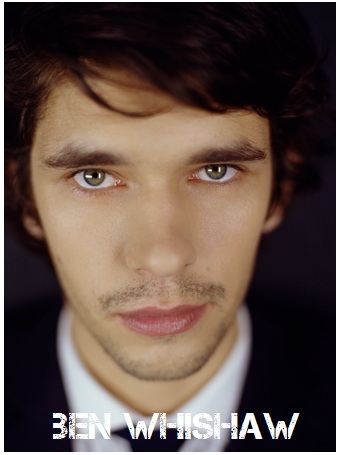 And after yesterday's rumours that Steven Spielberg wants Anne Hathaway and Chris Hemsworth in his sf epic ROBOPOCALYPSE, a new addition to the cast might be Ben Whishaw who might play a powerful computer hacker in the film. Cheyenne Jackson in the cast, premiered at Sundance Festival and will hit cinemas sometime later this year. You will see her later this year acting and singing with her head shaved in LES MISERABLES, but Anne Hathaway has another possible project in plan according to "Deadline". It appears that she and Chris The Thor Hemsworth are in talks to take the lead roles in Steven Spielberg's movie adaptation of ROBOPO- CALYPSE book by Daniel H. Wilson which was sold for adaptation almost two years before it hit bookshelves. 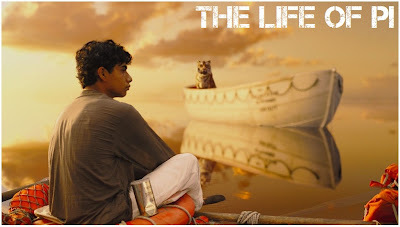 The story revolves around the struggles of mankind to survive after a worldwide robot uprising. 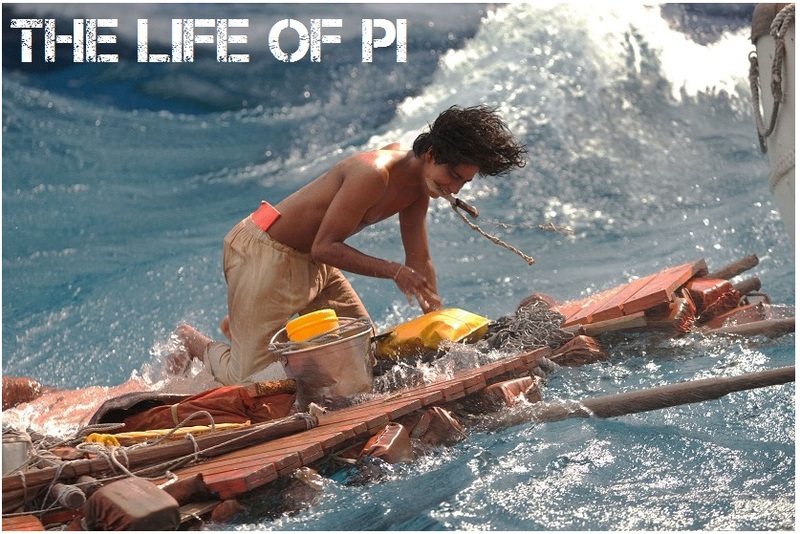 The epic movie is scheduled to appear in cinemas in April 2014, while the shooting should start next year. 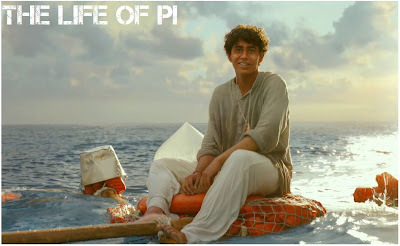 will deal with explorer George Mallory who was the first man to reach the top of Mount Everest. 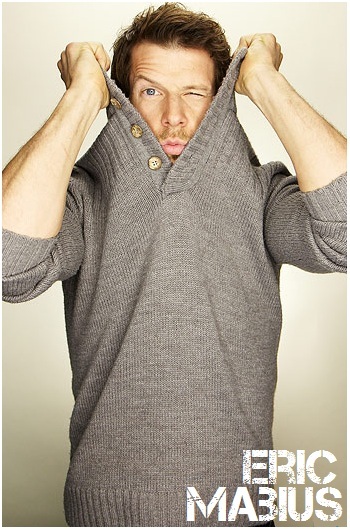 The story also deals with his obsession with the mountain, and his rivalry with fellow climber George Finch. Mallory and his climbing partner Sandy Irvine failed in two previous attempts in 1921 and 1922. They were spotted near the summit on their third attempt in 1924 before they disappeared. Their remains were discovered in 1999. Now "Deadline" reports that Tom Hardy is in talks to play the lead role in this film to be directed by Doug Liman. 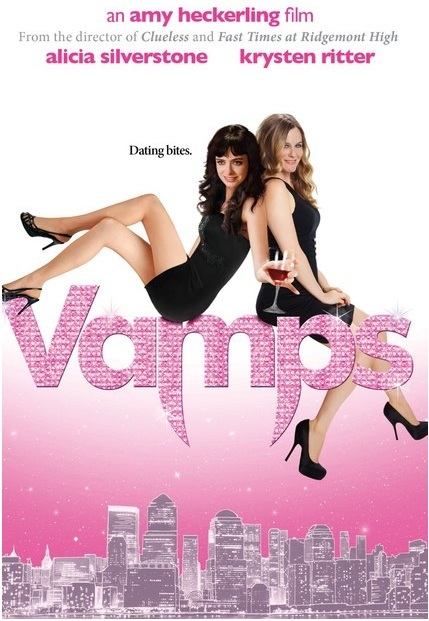 Silverston and Krysten Ritter playing two girls who, as upstanding, politically correct Extended Life Forms (ELFs), fit twelve-step Sanguines Anonymous meetings to help curb the temptation of human blood in between their clubbing and dating schedules. When love steals into each of their lives, the pair’s destiny is set on a new course and they must make a choice that will jeopardize their immortality, and maybe much more. If you didn't get that, they are a pair of party loving vampires who still have mortal love problems. This strange story has a rather stellar cast also including Kristen Johnston, Malcolm McDowell, Sigourney Weaver, Dan Stevens, Justin Kirk. 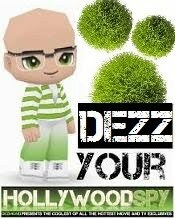 HOLLYWOOD SPY FASHION REPORT FROM EMMY 2012 RED CARPET! THE BEST AND THE WORST DRESSED! NEW "THE HOBBIT" & "RISE OF THE GUARDIANS" POSTERS! 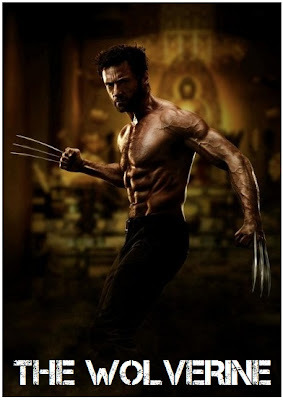 1ST PIC OF HUGH JACKMAN AS "WOLVERINE"
So, have you watched Emmy 2012 Awards this Sunday? I know, it was the same old boring event with the same winners every year, but at least the red carpet was more colourful than ever. 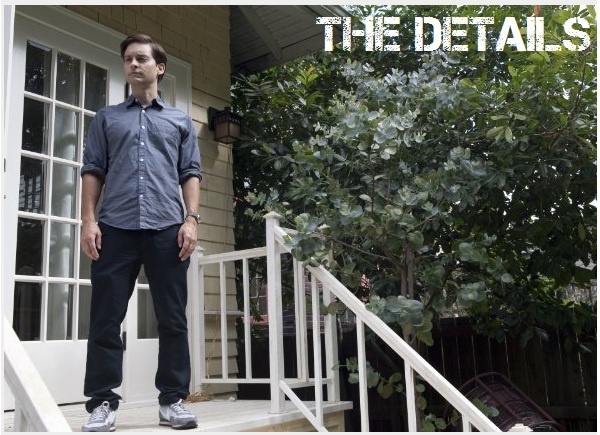 Here's HOLLYWOOD SPY's fashion report. Sofia Vergara knew she couldn't go wrong in a mindblowing Zuhair Murad piece, while Edie Falco looked ten years younger in that divine dress of hers. Moore was maybe a bit too mustardy, while Ashley Judd did have a nice dress but what's with the horrid Transylvanian hairdo? style. Two of the actresses whose acting I don't really understand showed me that I don't understand their outfits either - Zooey Deschanel and Michelle Dockery. Or the ladies with the big boobies! For my boys :) Christina Hendricks and Kat Dennings didn't really need to worry, they will always impress the crowd if they appear with a big cleavage at the red carpet. this November and follows favourite children's heroes Santa Claus, the Easter Bunny, Jack Frost, The Sandman, and The Tooth Fairy, who have to fight against a nasty demon who wants to take the control over all the kids. 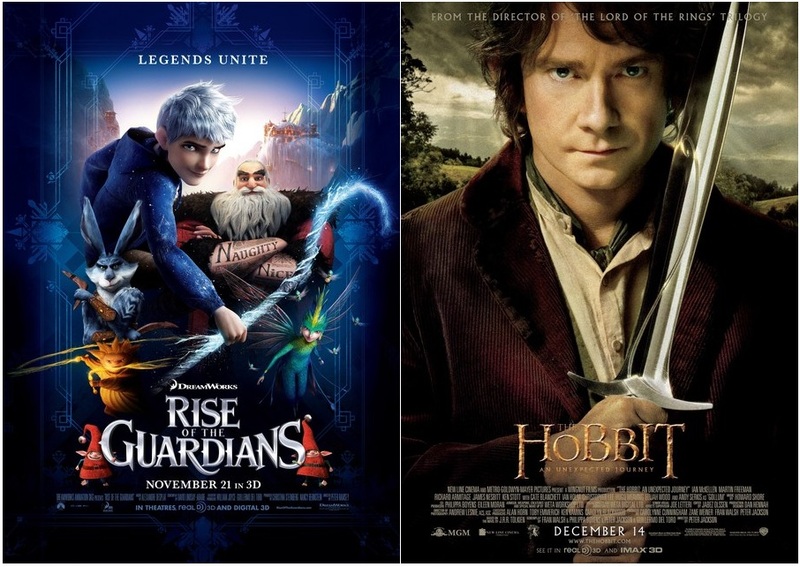 The film includes voices from Jude Law, Hugh Jackman, Alec Baldwin, Chris Pine) and the one for THE HOBBIT: THE UNEXPECTED JOURNEY, this year's biggest epic fantasy which hits cinemas December 14th. 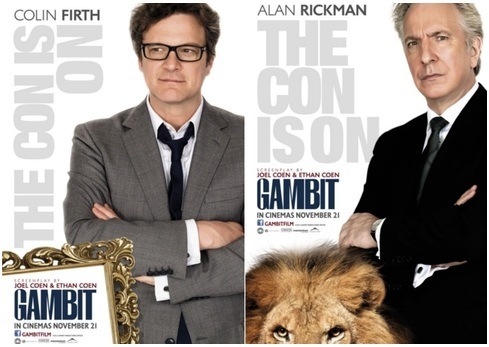 The second poster shows Bilbo with his trusted sword. You can also check out the first official photo of Hugh Jackman as the fury superhero in THE WOLVERINE which should hit theatres next July! Wolverine will be searching for his origins in Asia. A movie project we've mentioned before a number of times is getting new cast members: according to "Deadline" Matt Bomer and ROBIN HOOD's Lucy Griffiths have joined fantasy story WINTER'S TALE directorial debut of Akiva Goldsman which already has Will Smith, Russell Crowe, Colin Farrell and William Hurt in the cast. It's a very complex period fantasy thriller based on a novel by Mark Helprin which brings a sweeping drama about reincarnation, set in the early 20th century and focusing on a thief (Farrell) on the run who, when breaking into a wealthy man’s home, strikes up a relationship with the man’s terminally ill daughter (DOWNTON ABBEY's Jessica Findlay). He later learns that he possesses the gift of reincarnation, and becomes determined to save her life. A flying horse and a time-shift 100 years are elements which also appear in this supernatural story. Russel Crowe is set to play a ruthless criminal, while Will Smith will play a judge, Matt Bomer and Lucy Griffits will play the parents of the thief. gave the baby special gifts and powers. 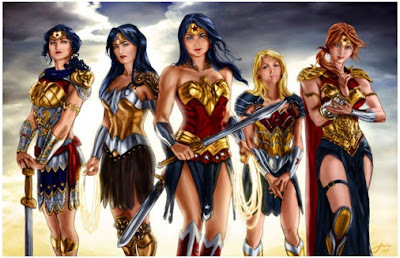 Demeter, great strength; Athena, wisdom and courage; Artemis, a hunter's heart and a communion with animals; Aphrodite, beauty and a loving heart; Hestia, sisterhood with fire; Hermes, speed and the power of flight. back yard. 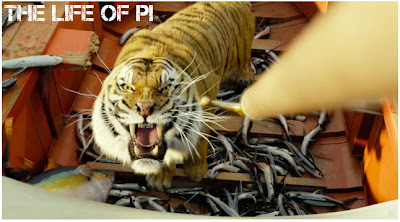 A disagreement over how to dispatch the pests creates a chain reaction of mishaps. But the trailer doesn't really speak of an adorable comedy with delightful raccoons, but something way too weird to be described. The cast also includes Laura Linney, Ray Liotta and Kerry Washington. 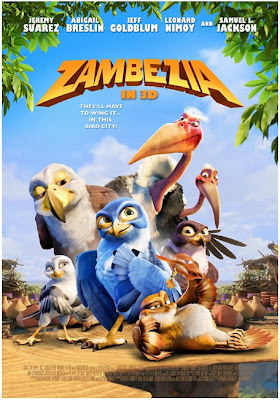 HOLLYWOOD SPY SPOTLIGHT ON DELIGHTFUL ANIMATED FILM "ZAMBEZIA" WITH LEONARD NIMOY, SAMUEL L. JACKSON, ABIGAIL BRESLIN, RICHARD E. GRANT, JEFF GOLDBLUM! JUSTIN AND THE KNIGHTS OF VALOUR, today I have for you a recommendation from the head of HOLLYWOOD SPY's Nerd Department - Josh, an extremely fun, colourful and exotic animated feature titled ZAMBEZIA, which comes from South Africa and has already hit cinemas in some of European countries while in others it is ready to premiere later this winter. It still doesn't have a release date for United States (the distribution for English speaking countries has been sold to Sony). The film was made on a $20 million budget. 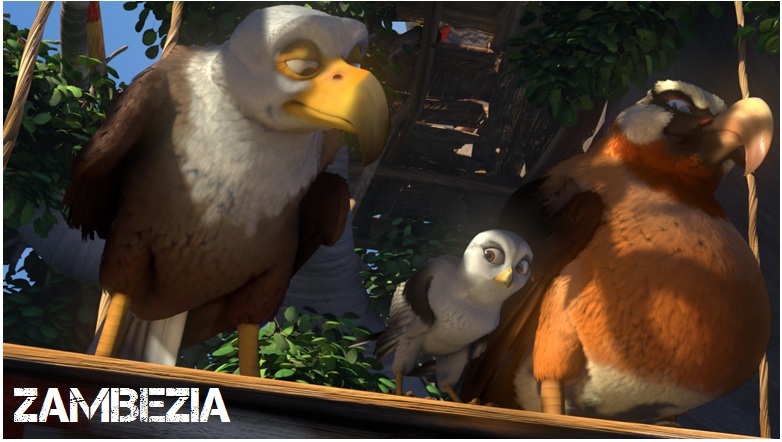 bird city of ZAMBEZIA. 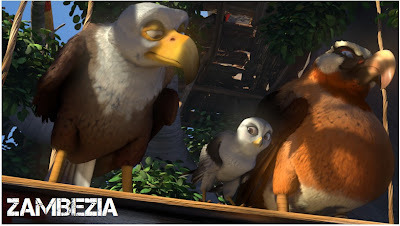 Kai sets on a journey to ZAMBEZIA where he discovers the truth about his origins and, in defending the city, learns how to be part of a community. 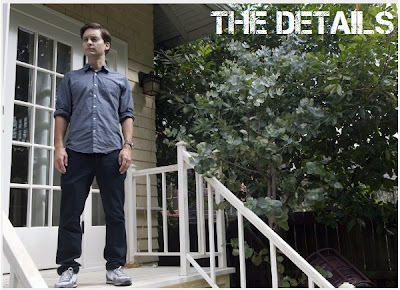 is Morton, simpering in posture, but not in character. Morton is Cecil's runty cousin. He is a bit of a softy and is prone to sentimentality which he has to suppress around Cecil. Jeff Goldblum is also in the voice cast. soldier’s battle to overcome his torture while he was a Japanese prisoner of war and how his wife helped him in the battle by setting up a mission back to the Bridge on the River Kwai, where her husband confronted the interpreter at his interrogations. 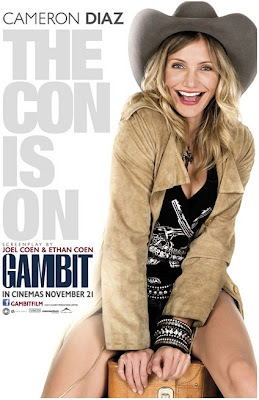 Nicole Kidman plays his wife and Jeremy Irvine plays young version of Firth's character alongside Stellan Skarsgard and Sam Reid. 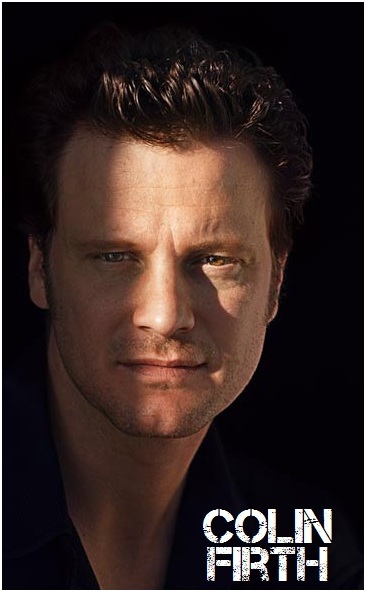 Another charming duo will be Colin Firth and Cate Blanchett in SKINNY AND CAT, which depicts American photographer Margaret Bourke-White's marriage to novelist Erskine Caldwell in the late 1930s.The 2014 film will be directed by Barbra Streisand! Somewhere along the way, Firth should also join Rene Zellweger and Hugh Grant in BRIDGET JONES' BABY recounting Bridget's life in her 40s!